A Pillsbury, they believe the ability to make is in everyone’s hands. 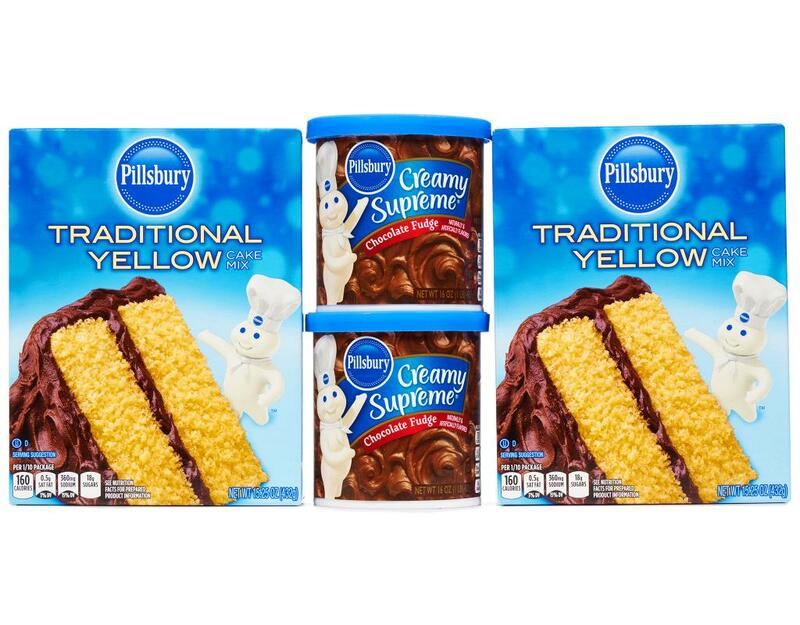 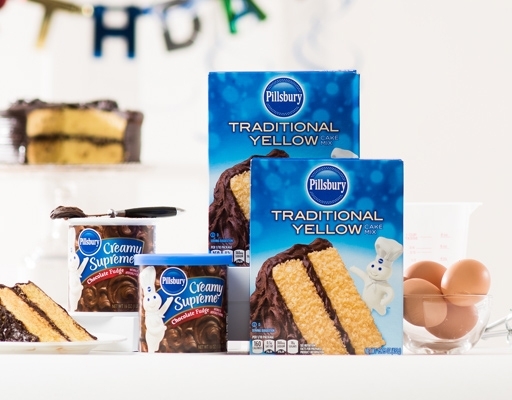 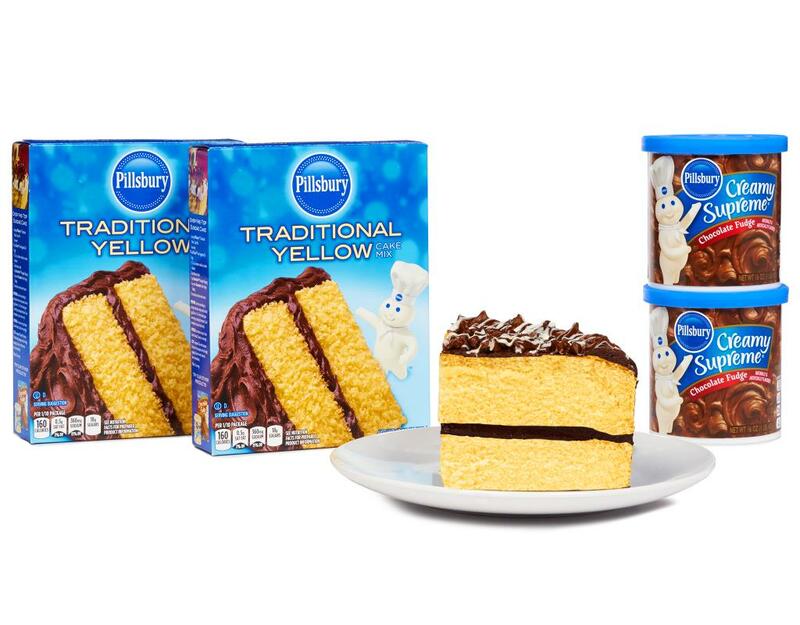 So put your hands to work (with a little help from the Doughboy) and enjoy this delicious Traditional Yellow Cake with Creamy Supreme Chocolate Fudge. 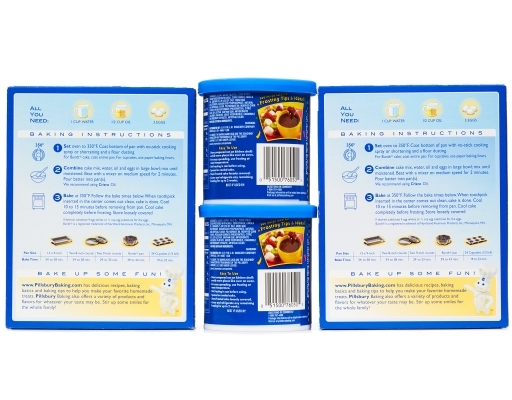 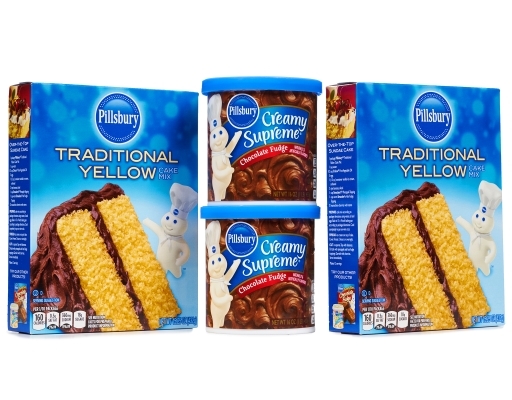 • Traditional Yellow Cake Mix - 2 x 15.25 oz. 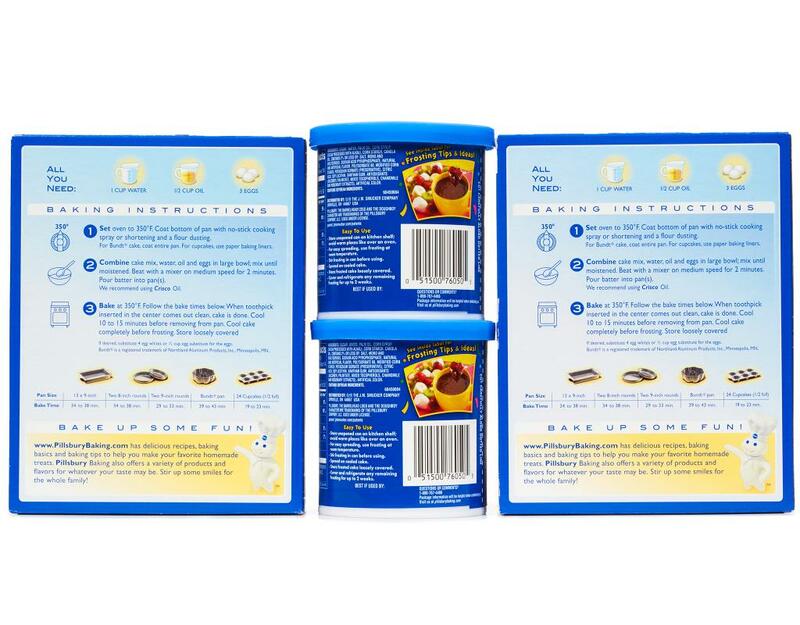 • Creamy Supreme Chocolate Fudge - 2 x 16 oz. 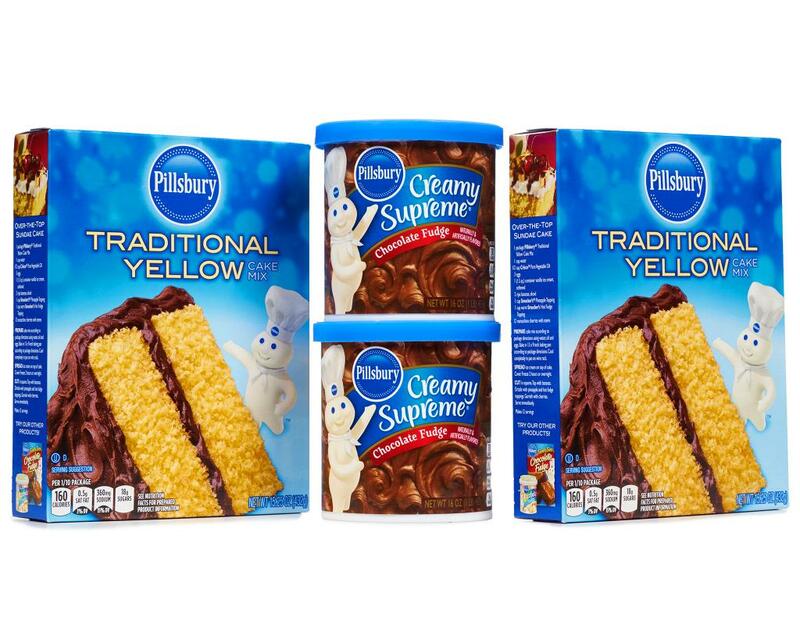 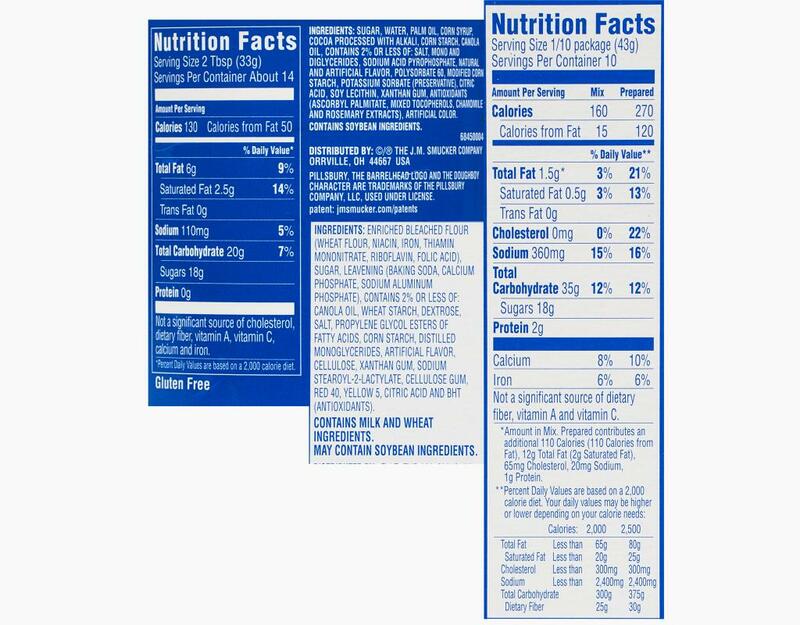 Traditional Yellow Cake Mix: Enriched Bleached Flour (Wheat Flour, Niacin, Iron, Thiamin Mononitrate, Riboflavin, Folic Acid), Sugar, Leavening (Baking Soda, Calcium Phosphate, Sodium Aluminum Phosphate), Contains 2% Or Less Of: Canola Oil, Wheat Starch, Dextrose, Salt, Propylene Glycol Esters Of Fatty Acids, Corn Starch, Distilled Monoglycerides, Artificial Flavor, Cellulose, Xanthan Gum, Sodium Stearoyl-2-Lactylate, Cellulose Gum, Red 40, Yellow 5, Citric Acid And BHT (Antioxidants).